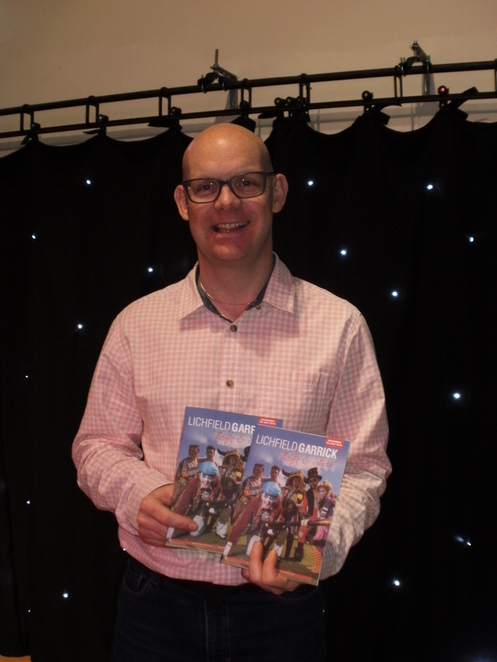 Local performers and budding actors are being invited to audition for a role in a new community theatre production taking place in the city of Lichfield this summer. 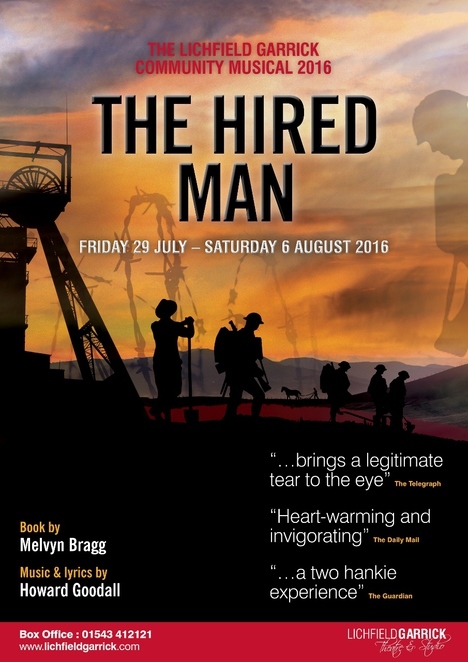 Following the success of its 2016 community musical - The Hired Man - the Lichfield Garrick theatre has announced that The Dreaming is to be its new community production for 2017. 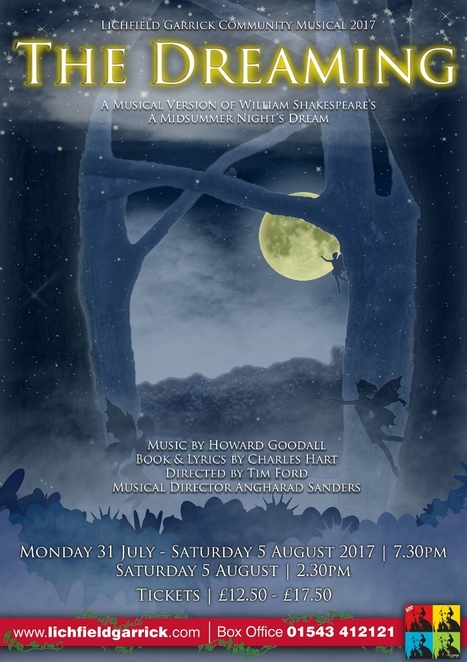 The Dreaming, a musical version of Shakespeare's A Midsummer Night's Dream, will run at the Lichfield Garrick from Monday 31 July to Saturday 5 August 2017. The annual show offers aspiring performers and musicians from across the region the opportunity to perform on the theatre's stage and work alongside a team of professional artists. The Garrick's Artistic Director, Tim Ford, is now inviting local talented performers to audition for the community musical production of The Dreaming at the theatre from April 5 to 8. Tim Ford commented: "We're looking for local actors, singers, dancer and musicians to audition for our exciting new community musical. Anyone from the age of 8 to 80 can audition and actors of all backgrounds, ethnicity and gender are welcome. Stage experience, or experience in performing in musicals, is not necessary. We are particularly keen to hear from boys aged 12 to 18 years old with strong singing backgrounds and young men aged 18 to 25 years old for this production." Aspiring performers will not be asked to prepare anything for their audition as all the material will be taught on the day. To apply, download an application form online and send the completed form to Lichfield Garrick, Castle Dyke, Lichfield, WS13 6HR or email tim.ford@lichfieldgarrick.com, by March 29. Tim continued: "We are also looking for local people to be a part of our back stage, marketing and creative teams for this production. So, if you are a budding stage manager, costume maker, set builder, lighting or sound technician, marketing guru, or if you fancy yourself as a director, choreographer or voice coach then we are also keen to hear from you." 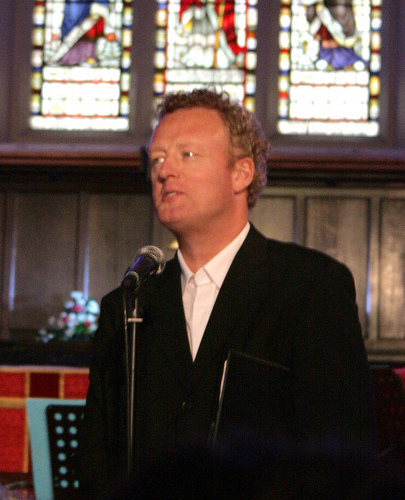 Howard Goodall, the composer of such well-known theme tunes as The Vicar of Dibley and Blackadder, teamed up with lyricist Charles Hart (The Phantom of the Opera) to create The Dreaming for the National Youth Music Theatre. The show combines a spooky edge with superb comedy and glorious tunes. Tickets are on sale now for the production which runs on the Garrick's main stage from Monday 31 July to Saturday 5 August 2017. 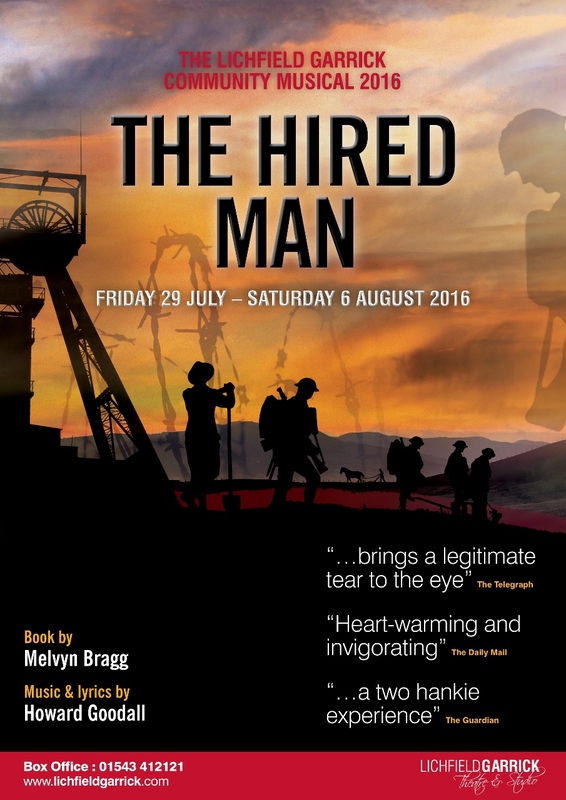 Tickets cost from £12.50 to £17.50, and can be booked online or by calling the Box Office on 01543 412121. Auditions take place on Wednesday 5 April, from 6pm to 9pm; Thursday 6 April, from 6pm to 9pm; Friday 7 April, 6pm to 9pm; and Saturday 8 April, between 10am and 1pm.